Sir Ivan Rogers, the UK’s ambassador to the European Union, has resigned. This is the full text of the letter he sent to what were his staff, seemingly distributed with the aim of ensuring it leaked. Clearly this letter and the manner in which it was leaked shows his ill concieved behaviour and muddled thinking, as to his duties as a public servant – muddled thinking that ensured he had absolutely no option and was forced to leave the Civil Service. I would contend that Ivan Rogers’ utterly irresponsible and disgraceful behaviour, in betrayal of his duties an responsibilities as a senior Civil Servant & public servant, call into question his right to retain his Knighthood. IF as he seeks to imply, Government policy is not yet crystalised let us not forget he failed, as David Cameron’s appointed Ambassador not only to obtain anything of significance in terms of renegotiating a better future ‘deal’, but also failed to advise any contingency plan for the failure! IF the policy is muddled it was his duty & responsibility to steer through that muddle to aid the Government in delivering BreXit in accord with their democratic responsibilities – IF it is not muddled it was his duty to quietly and professionally work for the best outcome for these United Kingdoms. Whatever the situation his duty and responsibility to act with discression & competence and if he believed he was incompetent to deliver it was his duty to discreetly and confidentially work with his employers to effect an orderly hand over to suuit THEM, not to act like a spolt child in the disgracefull manner in which he did, in betrayal of his office, his department and his Country. Seemingly Ivan Rogers was minded of the probability that he can find a highly paid job, with an organisasation that values duty and responsibility in a manner rather less than we as a country have the right to expect of our functionaries, even our leading functionaries! Sir Timothy Earle Barrow KCMG, LVO, MBE (born 15-Feb-1964) educated at at Arnold Lodge School in Leamington Spa, followed by Warwick School in Warwick. He went to Warwick University, followed by postgraduate study at Oxford University. Tim Barrow has a wife Alison and they have 4 children, two sons & two daughters. 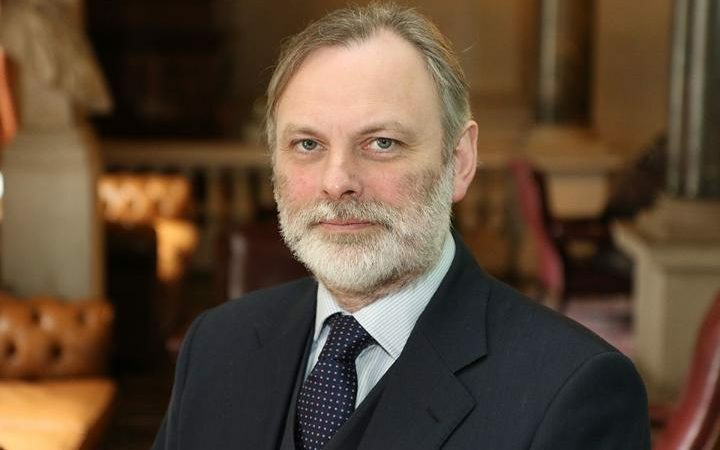 Tim Barrow started his career in the FCO in 1986, with increasingly responsible duties as a British diplomat, he served previously as Ambassador of the UK to Russia from 2011 to 2015. Before that Tim Barrow served in the Foreign & Commonwealth Office, as a representative to various bodies of the EU, and as British Ambassador to Ukraine 2006–2008. He was named as the Ambassador (British Permanent Representative to the EU), on 04-Jan-2017 as a result of the ill considered manner of Sir Ivan Rogers’ depature as UK Ambassador to the EU on 03-Jan-2017 & his rapid subsequent depature from the British Civil Service.